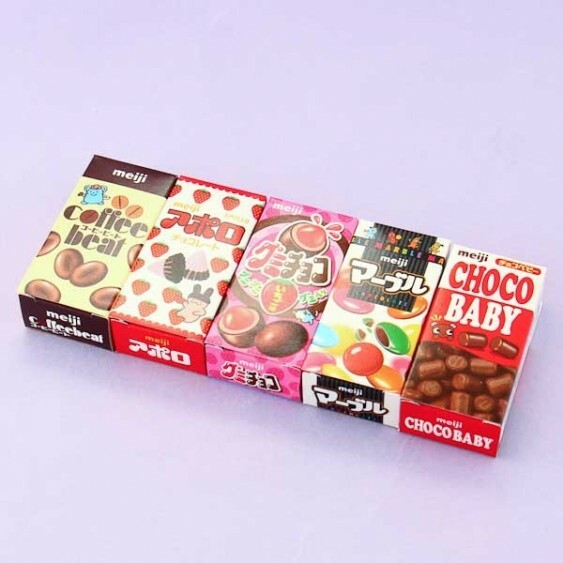 This set includes five cute little boxes of Meiji sweets: Japanese Strawberry Smarties (candy coated strawberry chocolate), Coffee Beat (chocolate coated coffee taste), Choco Baby (petite chocolate pieces), Apollo strawberry chocolate (strawberry chocolate candies) and Japanese Smarties (candy coated chocolate). 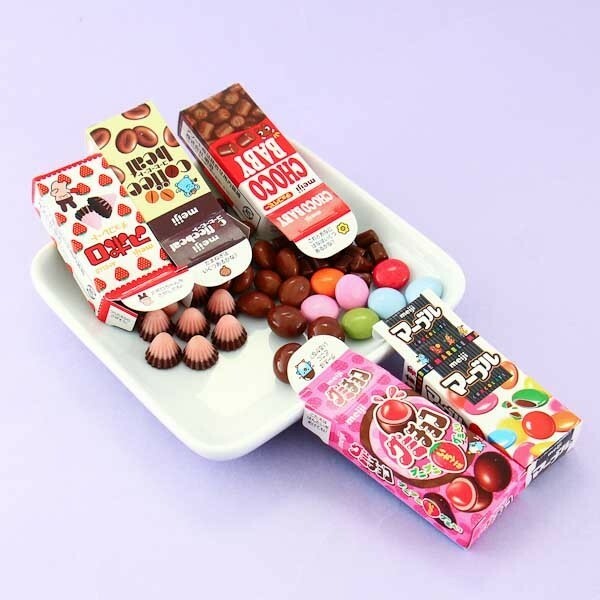 Great sampler in a fun size pack! i would like to start off by saying the boxes are SO CUTE and small. even though they're small there's a surprising amount of candy inside cause the candy is tiny too!! honestly you could finish the whole thing in one sitting (like i did) because the servings are tiny, but they're so cute so it's worth it.